Across the alley from my apartment is a black-and-white six-story building with barred windows. Its entrance is flanked by an endless pile of bikes highlighted by yellow, orange, blue and green. More than 30 grannies frequently gather to dance together in the small square, and sometimes a young woman and two men join them. They enjoy group exercise to the beat of Chinese music. A street stall inhabits the corner next to a little shop. Under its big red umbrella is a fridge full of ice cream and various local brands of water. The operator is a middle-aged woman with her husband and baby in tow. Her husband looks after the child while she sells lettuce, carrots, onions, tomatoes and potatoes. The shop also offers toilet paper, tobacco and chips. Three old men shopping there are my neighbors. As usual, they soon begin to play Chinese chess and chat. Night has already fallen. In a couple of hours, they will return home with shopping bags and smiles. Tomorrow morning at five o’clock Beijing wakes up. I witness this scene from the window of my tiny apartment. When I sit behind my desk to write, read and study, I periodically gaze outside and ponder my life in China. Purple curtains brighten the beige walls offset by black flowers and a hanging television. The mattress is hard; the bathroom is small. I can sit on the toilet while taking a shower if I want. My headboard is made of faux leather, which frequently falls off onto my pillow at night. My landlord’s family lives next door, and ever since I moved in they have tried to make me feel at home. I have now been living in China for more than three years. I lived in Fuzhou, a coastal city in the south of China, and elsewhere previously before settling in Beijing—dry, massive and cosmopolitan. The greatest thing about China’s capital city is that it provides so many options. In Beijing, you can find food from Russia, Vietnam, Iran, Spain and Argentina. You can drink mojitos on a rooftop while dancing salsa or drink baijiu (Chinese liquor) while singing karaoke. You can take a taxi, use a shared bike, call for a Didi (a Chinese taxi app) cab, ride the subway or hire a tuk-tuk. If you lust for authenticity, venture down a hutong (narrow lane)—a city inside a city—a community secluded from the rest of the capital but hidden right in the center of it. If you want to feel far from the traditional side of China, stroll down the packed and internationalized Sanlitun area. It is known for shopping centers, restaurants and foreigners from all walks of life, due to its proximity to the old embassy area. Or you can head to one of many parks for a peaceful break, to the Great Wall for breathtaking views or to a teashop to sip a cup of high-end tea. When people ask me why I like Beijing, I always give them the same answer: because you can find anything there. My first year in Beijing was easy and fun. I was surrounded by students and foreigners, next to my university, close to beautiful and famous scenic spots and not far from an area where parties are frequently held. My apartment was new and comfortable, and I never felt alone. However, the second year changed things a bit. 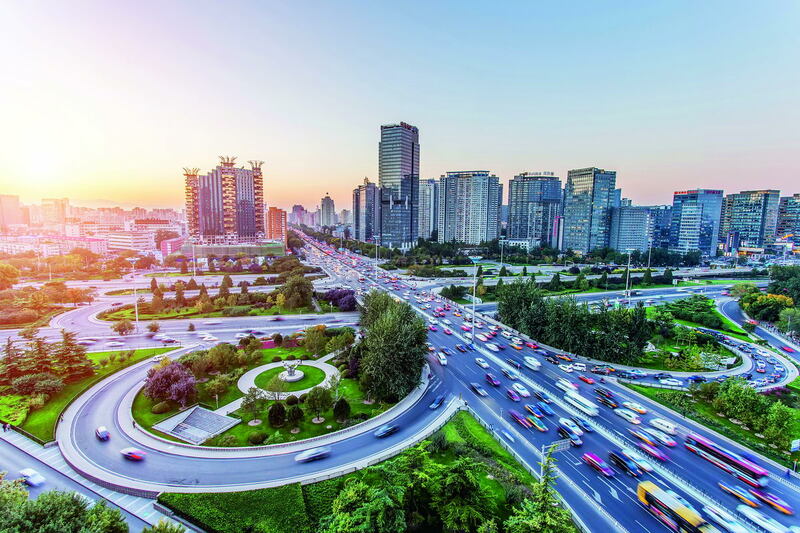 As with the many choices in life, in Beijing you can also choose where to live. Due to the size of Beijing, if you don’t want to spend all day on the subway, you should try to live near your school or workplace. When I changed universities, I also moved. I had to stick within my scholarship budget, and the cost of renting an apartment in the area was extremely high. 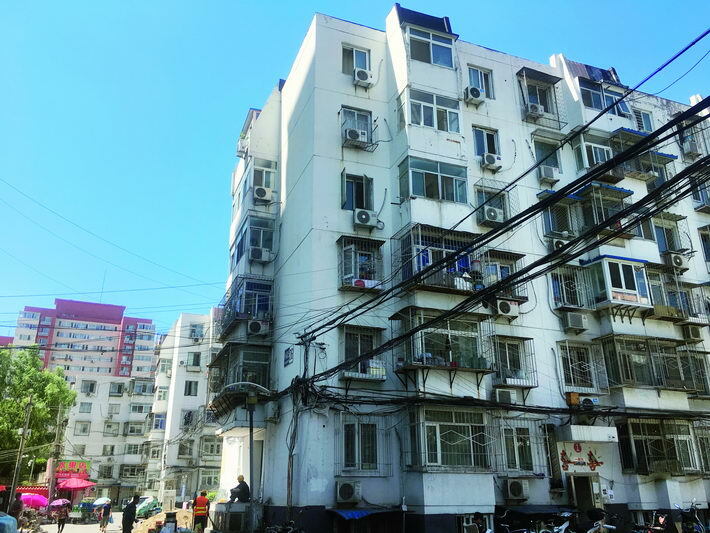 A friend advised: “When you find an apartment within your budget, just ask if you could live there—if the answer is ‘yes,’ don’t hesitate and take it—cheap places are hard to come by in Beijing!” And so I did. The building in Beijing where the author lived for about 10 months. It was the first apartment I saw. The building was pretty old. I didn’t see many young people around, or foreigners. A sixty-year-old couple opened the door. The husband was big, bold and cheerful. The wife was a short, round, energetic woman. Behind her hid a shy but curious seven-year-old girl. These were the landlord’s parents, and the child was their granddaughter. A narrow passage separated their apartment from mine. They spoke as many Beijingers, adding a heavy “R” sound at the end of each syllable, which made it difficult for me to understand. I had to negotiate for nearly an hour, first with the lady, then with her husband, before finally getting the son on the phone. “I’m a student. How do you think I can pay that much… I’ll talk to your daughter in English, so she can learn… I won’t make any noise, just studying… Please, please, please…” I pleaded so earnestly in poor and desperate Chinese that eventually, he laughed and agreed to lower the price. I lived there for ten months. In the flat across from me lived six people: the great-grandmother, the grandparents, the parents and the little girl. Every day before class, I saw the grandmother take the girl to school by bike. Every time we met, she would ask me “Where are you going?” or “Have you eaten?” or advise me to be careful because of a certain weather forecast. Seldom was their door closed, so I felt like I lived with them. Once, the grandfather gave me a watermelon because he decided I was losing weight. I didn’t think watermelon would be much help, but it was tasty nonetheless. Despite the lack of privacy, my Chinese family not only allowed me to better understand Chinese society, but also made me feel right at home. The author was an international student from Spain who studied at Peking University. She currently works for a Spanish company in Ningbo, Zhejiang Province.